If you’ve been asking yourself why your social media marketing tactics aren’t hitting the spot, then you’ve come to the right place. 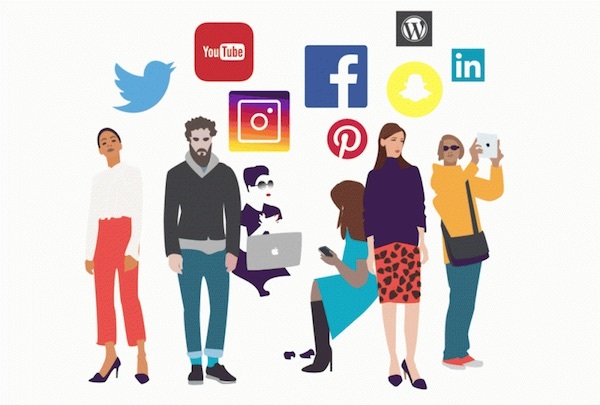 In this short post we take a look at some of the common reasons why businesses fail to connect with their customers over social media postings and how you can go about remedying that. You’ve thrown together some tactics, such as write a bunch of posts and send them out on a daily basis but you don’t have any real end point so the posts you’re writing a disjointed and meaningless. Your customer doesn’t really relate to them so they are becoming ignored and disappearing into the ether of discarded posts and tweets. While it’s almost essential that businesses have a presence on social media, having an ad hoc attitude to it will not get you the results you’re looking for. Instead mould your tactics into a strategy and to get that off the ground you’ll need to start with some clear and tangible goals that you want your strategy to achieve. You’ll also need to concentrate on where your social media is sending your customers to: your website, so factor in web design in your whole plan. Your posts could be smarter. Know the difference between brand or full URL links? Well, you should and if you know the details like this, you’ll what using brand, or vanity, links can make to your click through rate on a page. These shortened versions of the long URL also contain a shortened version of a brand’s name adding trust to the link and increasing the number of visitors to your page. You don’t know your customer. If you have your strategy in place and the tips ands tricks you need to inspire click through to your website but don’t know your customer, your strategy is doomed to fail. There is simply no point tweeting regularly to a customer base that spends the majority of their time on Instagram. It might feel like it’s a good idea, but it’s not; it’s a waste of your time and your money. As part of your strategy building, find out who your customers are. Get to know their age, their job, their restaurant preferences and of course their social media hangouts. Don’t leave it to chance, it’s key to the success of your strategy. Don’t drown your social media in content and then turn the tap off. Be consistent and timely with your post in order to get the best response and to establish yourself as a brand that’s present, reliable and consistently there for customers. Answer comments in a timely manner and have someone monitoring your interactions to work on repeating the kinds of posts that get the best results. Your digital marketing doesn’t need to be overly complicated but it does need to be based on the kind of research that will make your strategy work. Get the right customers on the right platforms and start conversations that get converted into results time and time again. Adjust and keep going with great messaging and a consistent presence and you’ll find your social media hits the spot.